Clearly, it can be perceived that there is a need for fresh blood in the search engine sector. Not only for the sake of innovation but also to adhere to a sense of choice to the consumers. Taking the example of Google, a centralized system which has the power to handle, store, and manage highly informative content. They might not be directly in sight, but the industry giant has too much power over us. Because without our knowledge they can remove billions of pages from their index. They probably might not be doing it, but if they are, would anyone know about it? This is one such problem with a centralized system that is part of a bigger centralized web structure. The prime focus of Google has been attention and viewership. But blockchain technology solutions are in the line to make things tougher for Google. A blockchain search will include an identity coin that will leverage consumer data as well as preferences without the need to control or own any of the information and provide a personalized search. Even if we add the advertisement today, the user’s of the search engine developed by the blockchain technology companies would benefit by earning a token commission in exchange for viewing the ads. This results in the elimination of the adversarial relationship that is prevailing today. But this system is to be a long way off. If you want users to adapt your product, it should be 5 to 10 times better than the existing content. Blockchain Technology is developing decentralized search tools that will allow users to personalize their experience while having control over their data. Blockchain enables user verification helping in combating the fraud that will surely arise as the users will attempt to earn more tokens. The Blockchain search system project believes in breaking our dependency on Google for every information. One of them is Presearch, an open, decentralized search project reward its users. The contributors and promoters are betting with the right technologies and tools the community can compete against the big names. Presearch has enabled users to search various providers through a single search field. The system is aiming at breaking the dependency on Google. And this seems to be working as 50% of the testers have become daily users of the project, generating more than 20 page views per day on average. Smart Contracts will enable advertising revenue that will be split between the project and the user. Decentralized will allow development shift to the community and they are already claiming that it is already happening. Developing a search engine is expensive and complex, but if you take a novel route by tokenizing search and trusting community involvement to take on the incumbents from the roots while keeping the organization lean. The decentralized system has the advantage of loaded content. Decentralized search engine aim is to provide all the information present, unlike Google, Bing, and other platforms that follow their own agendas. They all are in the business of selling products. Also, they are serving a big audience. And the biggest problem we face is not able to choose our information. 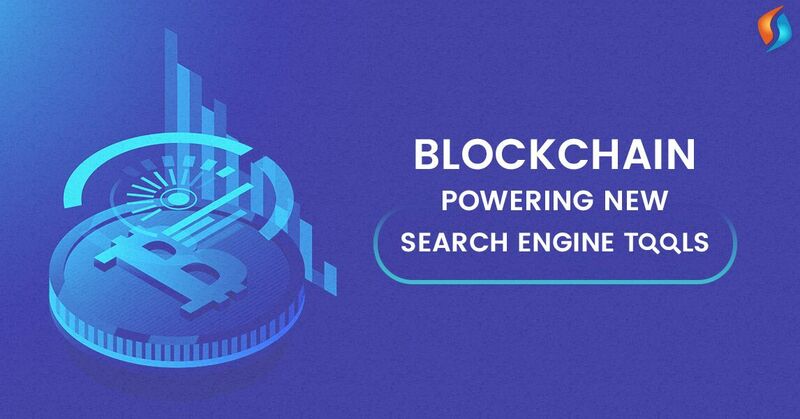 So a decentralized search system, created with the blockchain development services can help you personalize your search with more control over your data. Blockchain competing with YouTube will face almost the same challenges, likewise in the search world. But the fact that YouTube’s ads are not very effective for most of the creators. Considering that average CPM ranges between $0.5 to $5, i.e. 1 million views earn between $500 to $5000. This is actually bad for a market like YouTube, comparing that a podcast earns 5 to 20 times higher CPMs. Even though YouTube has a very limited earning but is a very competitive market. Whereas a blockchain based Video platform currently would have less competition and a greater percentage of attention. Additionally, if incentives are there for content creators, the reward game will be more interesting then. But chances are there that blockchain based video search would require several years to reach maturity. Looking at YouTube, it receives 100 hours of video content every minute, which makes it a SEO rich platform. Pageview and attention have created a world that rewards artificial attention. Flashy thumbnails, accidentally promotional content and proactive headlines have degraded the content quality present online. Currently, in theory, blockchain can help develop a model that can solve it. For example, Medium has done quite a good job by allowing its readers to Clap for articled they love. A similar model can help redistribute money to the websites and publications that users appreciate the most. We can believe that the only way a blockchain model be successful is through Tokenization incentive where Adsense ads have a statement attached. And this is feasible with the use of blockchain-based crypto wallet solutions. To participate in a blockchain based publication model, publishers can create a monopoly in the market, developing a website that becomes increasingly less usable to the increasing number of ads until the users choose to join the space. Well, there is going to be a lot of experimentation in the year 2019 in creating a decentralized ecosystem enabling the search world. The true winners of the year 2019 will be the ones who will bridge the users’ requirements and the deliverable through the deployment of public and private blockchain driven enterprise software solutions and services. We at Signity Solutions are working with international players on developing premier blockchain-based products. With a professional team and many years of experiences, you will get the best guidance. Contact our IT outsourcing services desk today and reap out the benefits with this ever-growing technology.